This stamp set is so cute and I love the sentiment. 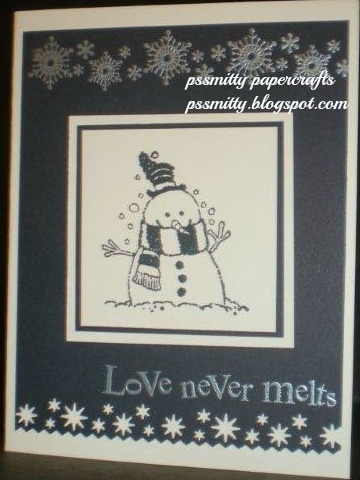 The snowman images also fit perfectly on the Cricut Swing Cards. 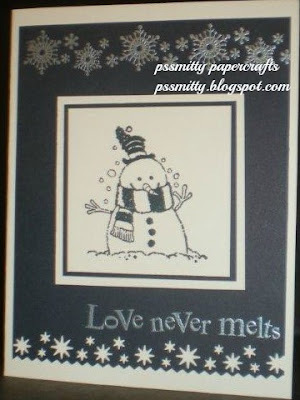 I've used silver embossing for the snowflakes and the sentiment.